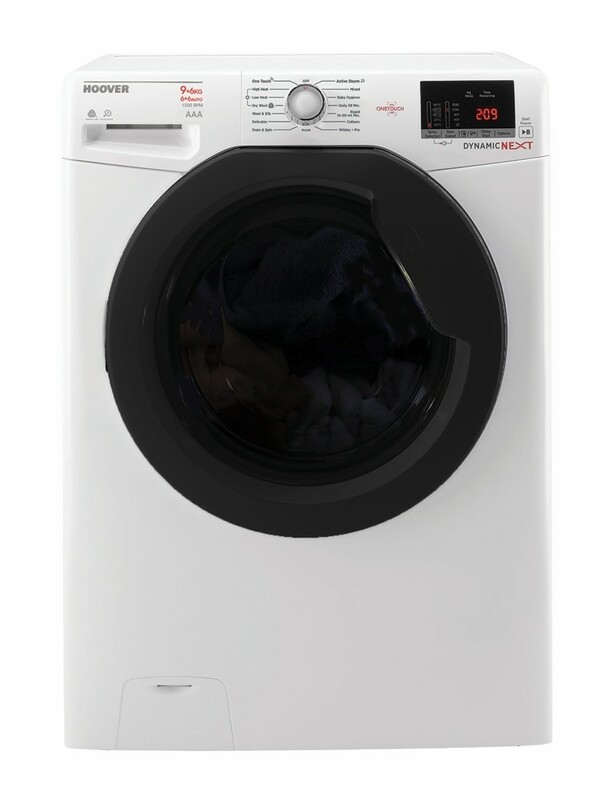 The WDXOA596FN 9kg/6kg 1500rpm Washer-Dryer allows you to wash, at full load, different fabrics and colours together without the worry of the colours running. You have the option to do this as a quick wash or as a low temperature wash. There are 15 programmes to choose from, including the three rapid wash programs - 14 minutes, 30 minutes and 44 minutes. This gives you the option of a quick wash to suit your needs. The Start Delay function allows you to launch a wash programme at a time that suits you. You no longer need to be at home to manage the laundry. KG Mode is the function that weighs the laundry within the first 4 minutes of the program, adapting the water, energy consumption and time of cycle with a scientific precision. The drying sensors enable your washer-dryer to adapt its drying cycle to your garments, automatically reducing consumption to suit the load, for unbeatable flexibility. Even small loads can be washed and dried on a regular basis with minimal waste. All Hoover washer dryers come with an A energy rating and also have A rated spin class and A rated wash class.